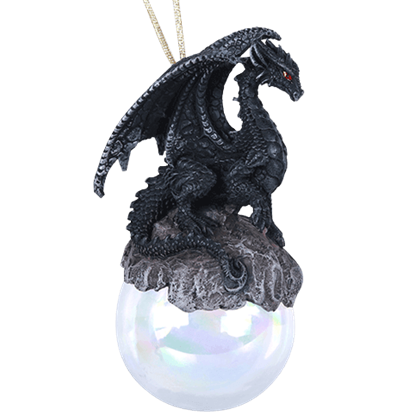 All throughout the year you enliven your surroundings with the legendary figure of the dragon, the holiday season should be no different. 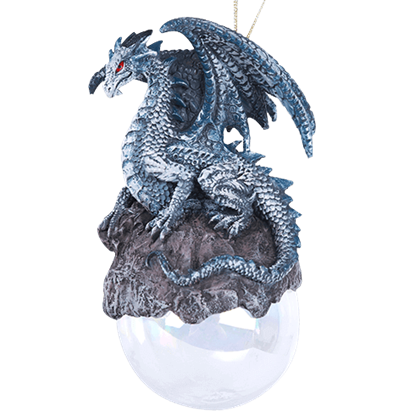 The Hoarfrost Dragon Ornament will add a touch of medieval fantasy to Christmas decorations. 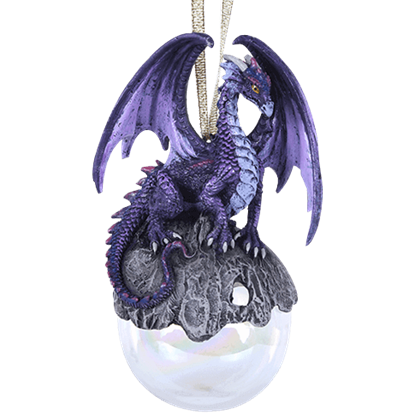 Reveal a love for everything medieval while intensifying joy for your favorite time of year with the Hyperion Dragon Ornament hanging from your Christmas tree. This fantasy decoration will increase the magic of the holiday scene. The tinsel and mistletoe decorating your castle walls reveal excitement for the holiday season. 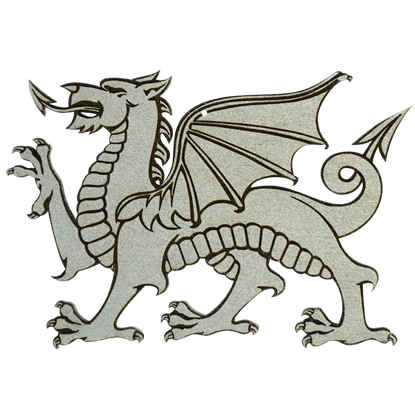 The Lord of the Forest Dragon Ornament is a perfect Christmas decoration for the modern knight that feels at home in the medieval era. 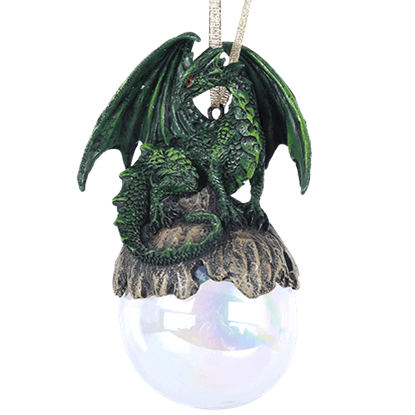 Intensify the magic and whimsy of your holiday decor with the Talisman Dragon Ornament dangling from the branches of your Christmas tree. 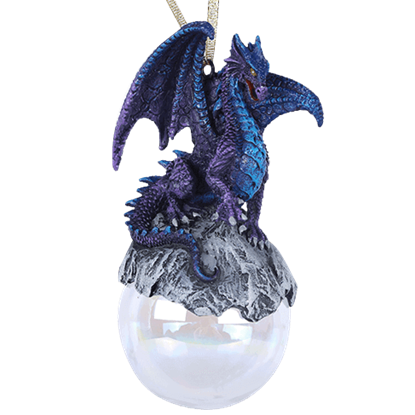 The legendary beast displayed by this ball ornament is sure to captivate all who view it. 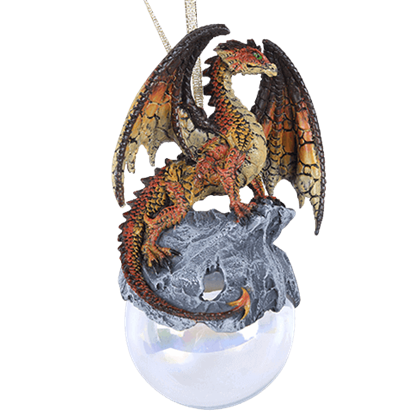 This charming little Welsh Cadwaller Dragon is just waiting to be put up on your tree for all to see. He is sure to wow and please! This ornament would easily become a keepsake in your family and would make a thoughtful gift too.